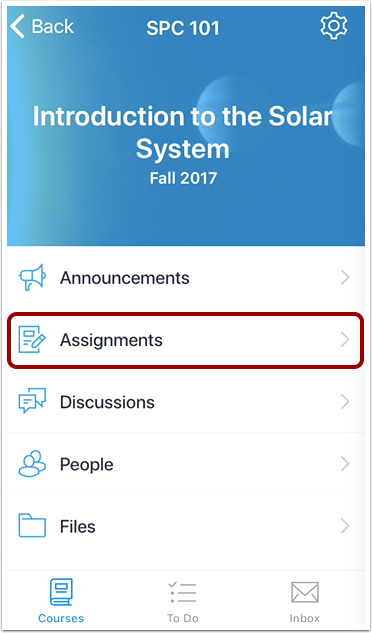 When you open a course, you can see the list of assignments in your course. 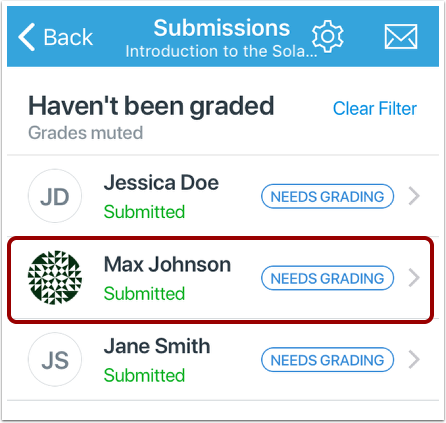 For each assignment, you can view the status and whether or not submissions need grading. You can also view each student's submission, comments, and files. 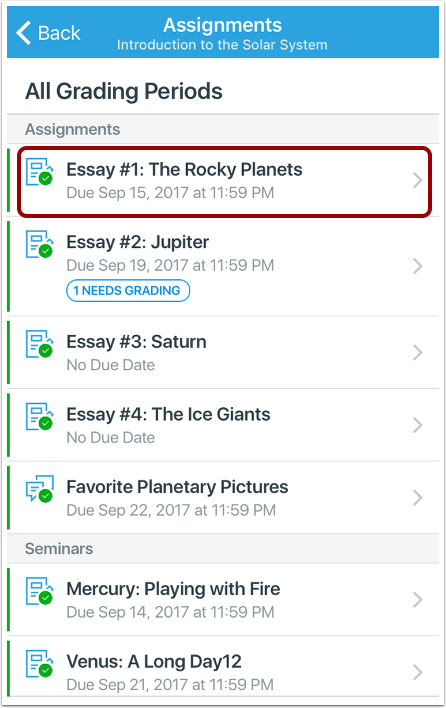 This lesson shows how to view assignments from the Assignments page. However, submissions can also be viewed in the page for their respective assignment type. Locate the assignment and tap the name of the assignment. 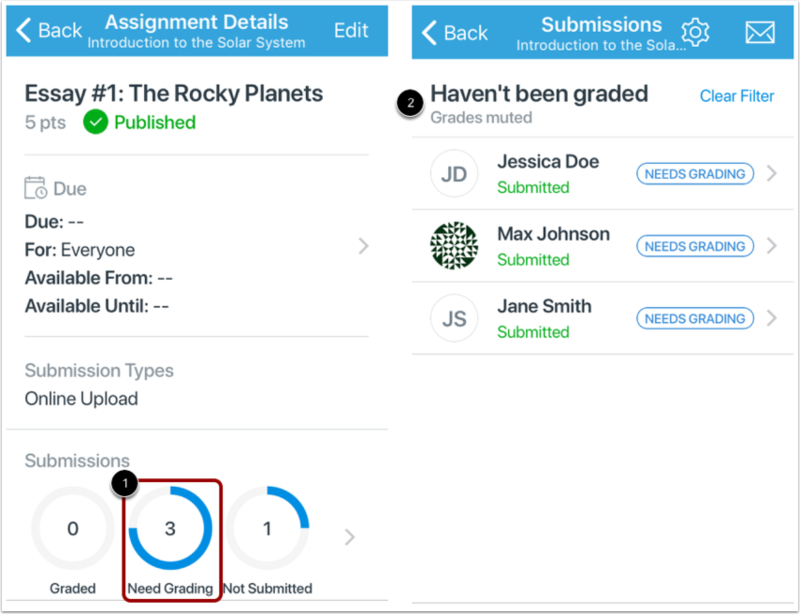 In the Submissions section, you can view the status of the assignment and how many assignments have been graded , how many need grading , and how many have not been submitted . To view the submissions page for all submissions, tap the Submissions icon . To filter immediately by one of the three submission statuses in this page, tap the status type . The submissions page displays all submissions filtered by the selected status . Unless a specific filter was already selected from the assignment page, the Submissions page defaults to the All Submissions page. You can view all students assigned to the assignment and his or her submission status. To apply additional filters, tap the Filter link . Tap the type of filter you want to apply . 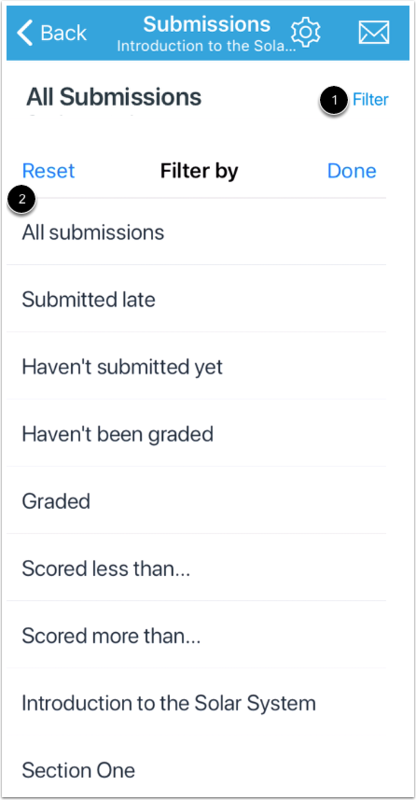 You can filter submissions by all submissions, late submissions, students who have not submitted, submissions that have not been graded, graded submissions, submissions with a score less than a specific value, submissions with a score greater than a specific value, and section. You can select multiple filters at the same time. To clear a filter at any time, tap the Clear Filter link. 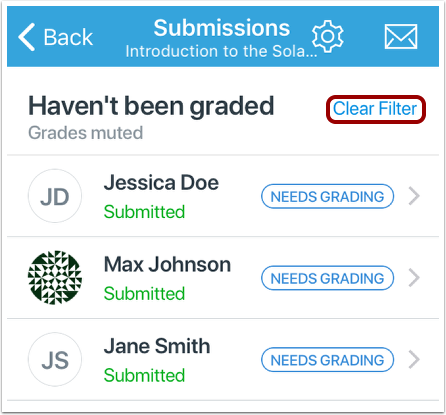 To mute grades or enable anonymous grading, tap the Settings icon . 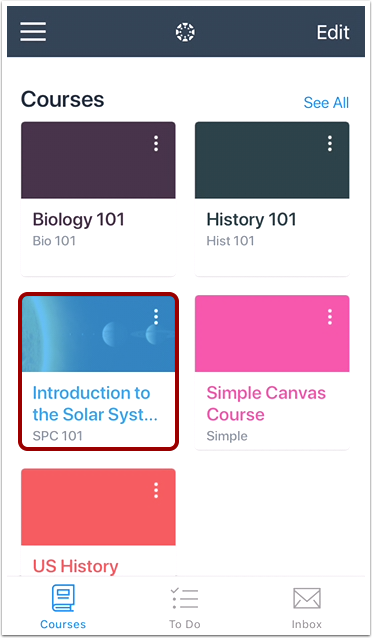 To message students, tap the Message icon . To view and grade a student's submission, tap the name of the student. View the student's submission. You can view the date and time of the submission . 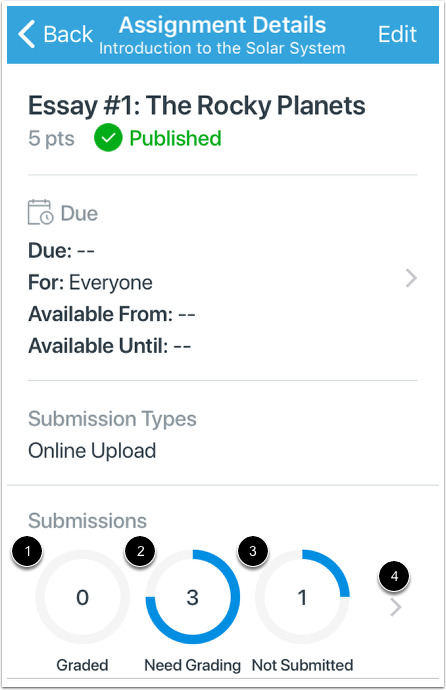 If the student resubmitted the assignment, tap the time stamp arrow to view dates and times from previous submissions . If the assignment type supports annotations, you can use Canvas DocViewer to add annotated comments to the submission . 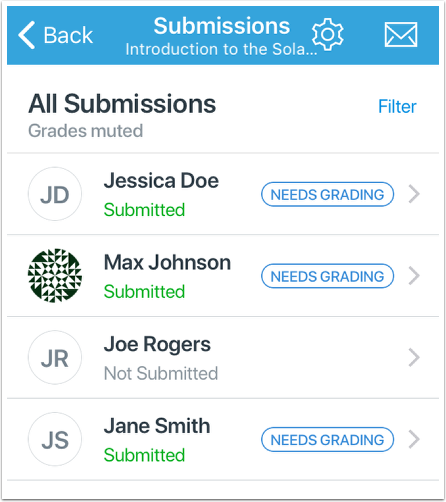 You can also grade the submission , view and add comments , and view specific files within the submission . To view another student, swipe left or right on your device. 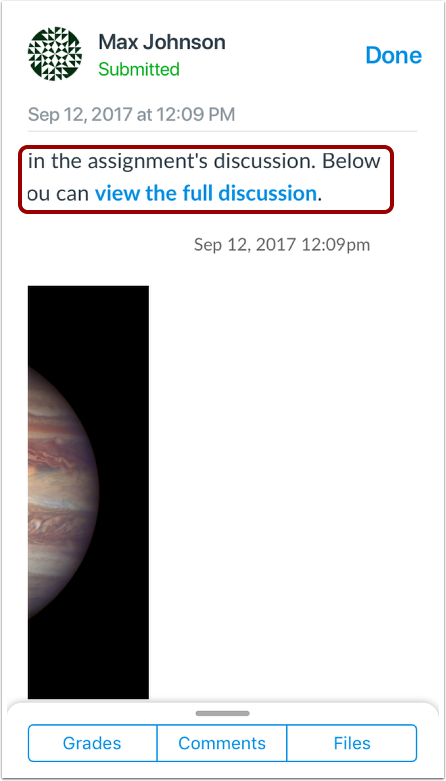 When viewing discussion submissions, you can only view the individual response(s) from the student. To view the entire discussion, tap the link to the full discussion. The app will display the full discussion in a web view within the app. Note: You may need to swipe to the left to view full content with discussion replies and the full discussions page. 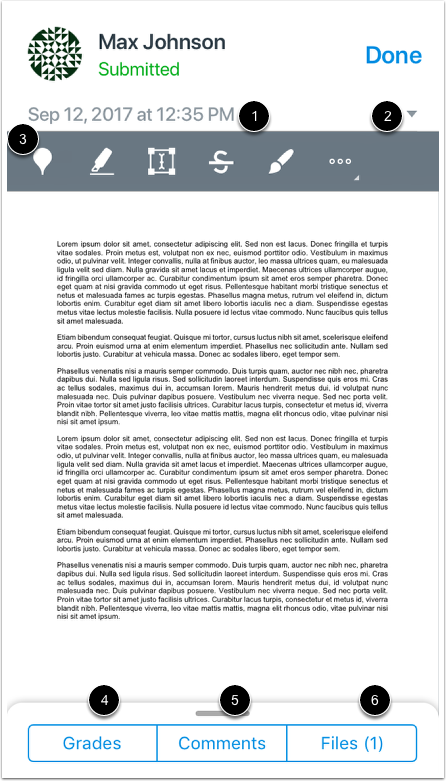 Previous Topic:How do I view Assignments in the Teacher app on my iOS device? 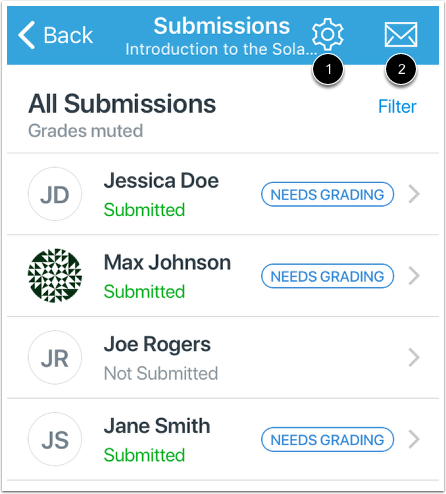 Next Topic:How do I grade an assignment submission in the Teacher app on my iOS device? Table of Contents > Courses > How do I view assignment submissions in the Teacher app on my iOS device?